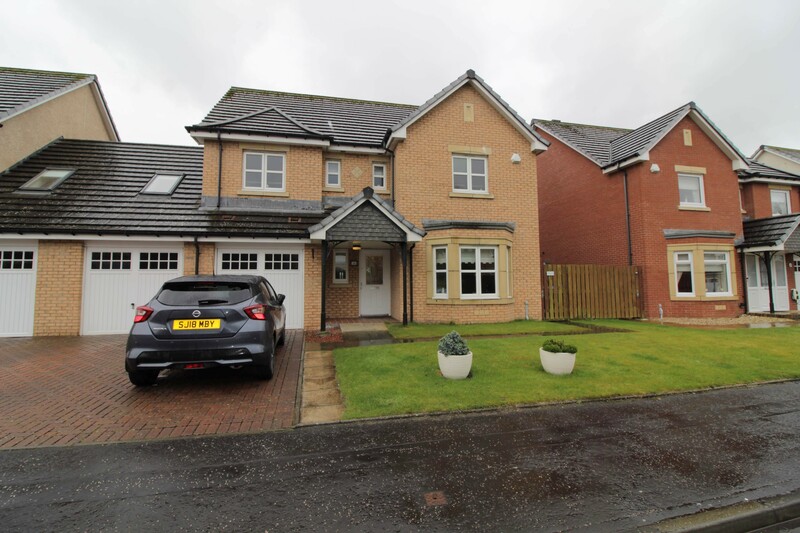 Hoppers Estate Agents are delighted to market this immaculate link-detached property in a sought after address in Prestwick. 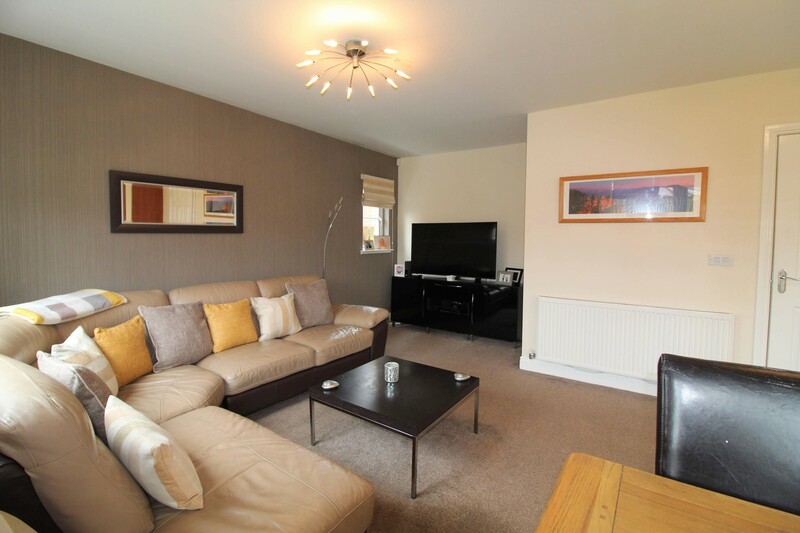 This beautiful family home provides bright and spacious accommodation throughout with a flexible layout. 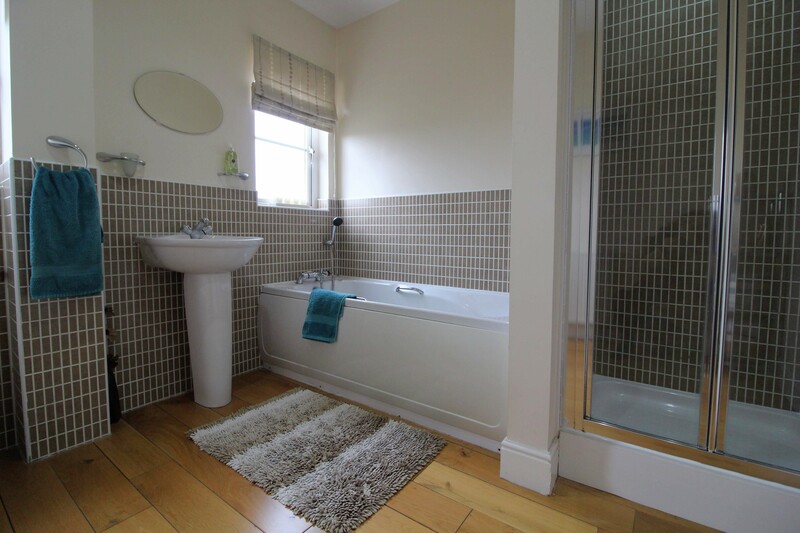 Comprising formal lounge, large kitchen-dining-sitting room, 4 spacious double bedrooms, 2 with en-suite, family bathroom and WC. 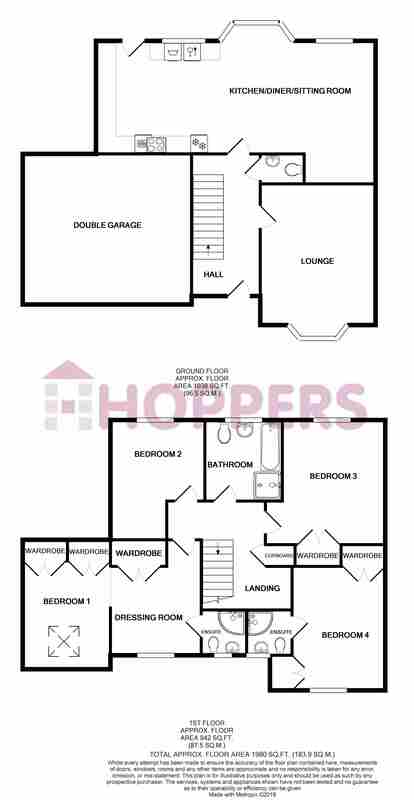 With double garage and south facing rear garden. 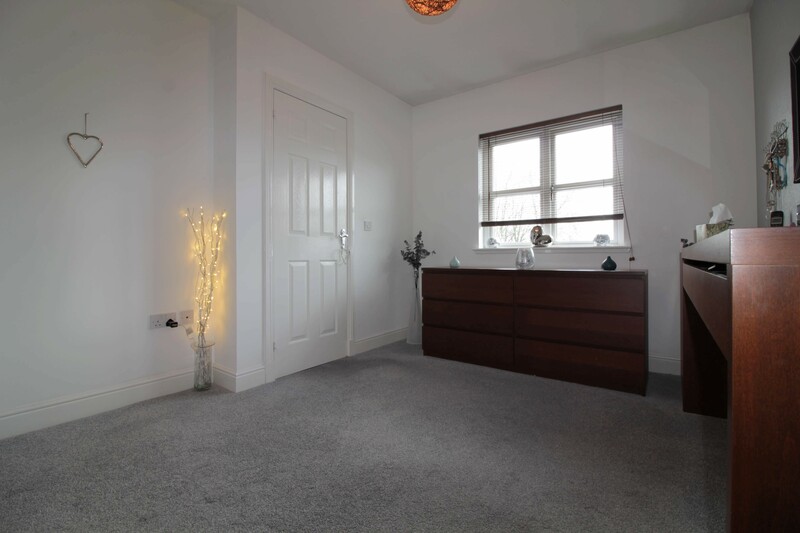 In true walk-in condition, viewings are highly recommended to appreciate this wonderful home and space on offer. 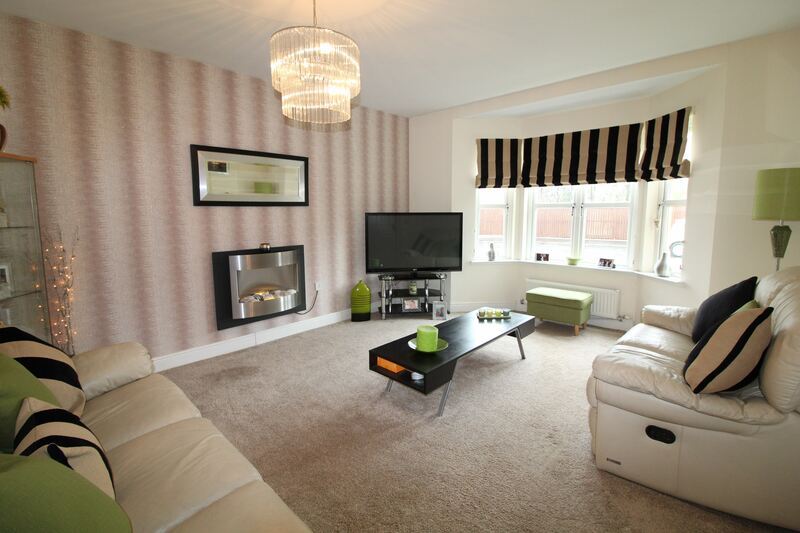 The property is presented in beautiful condition, with tasteful, neutral decor throughout. 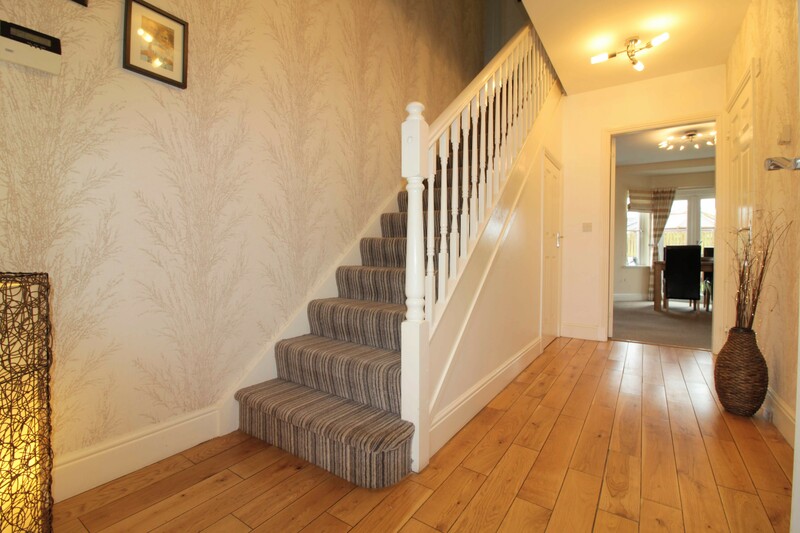 Quality fitted carpets and real wood flooring, as well as immaculate fixtures and fittings, allow buyers to walk-in to a stunning ready-made home. 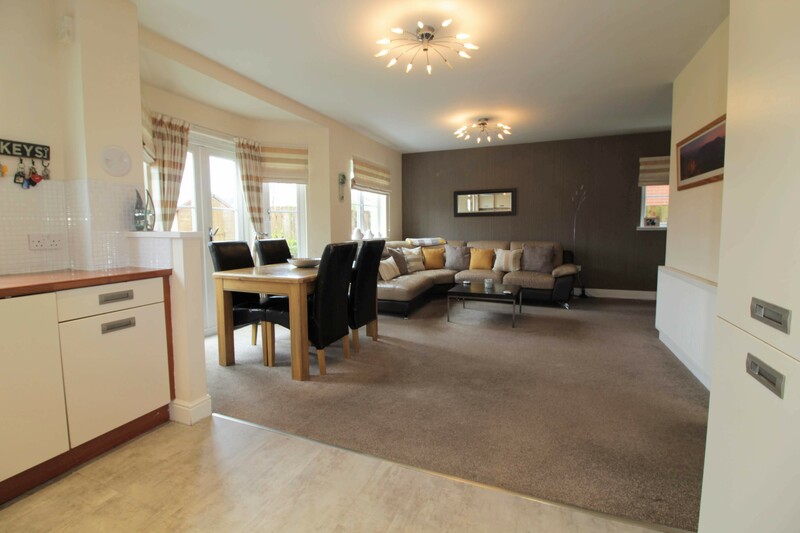 Internally, the property extends to a bright formal lounge at the front and a large kitchen-diner/sitting room to the rear. 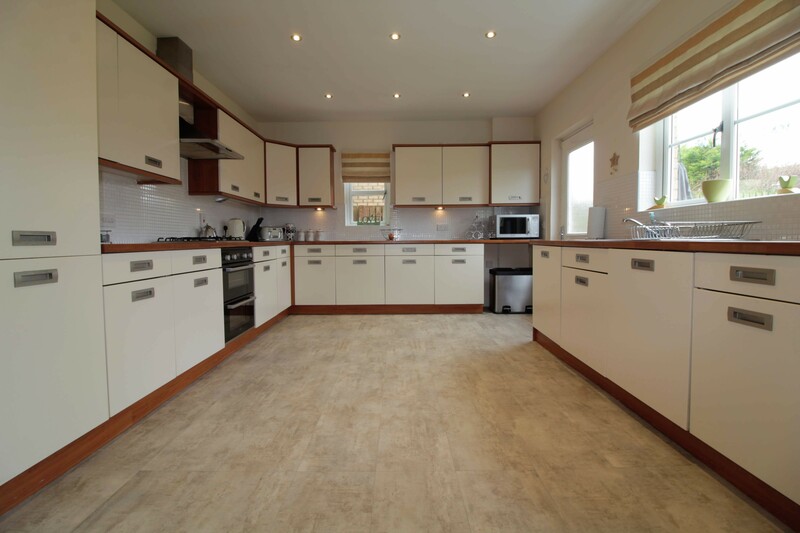 The kitchen benefits from ample wall and base units providing excellent storage and worktop space as well as fully integrated appliances. 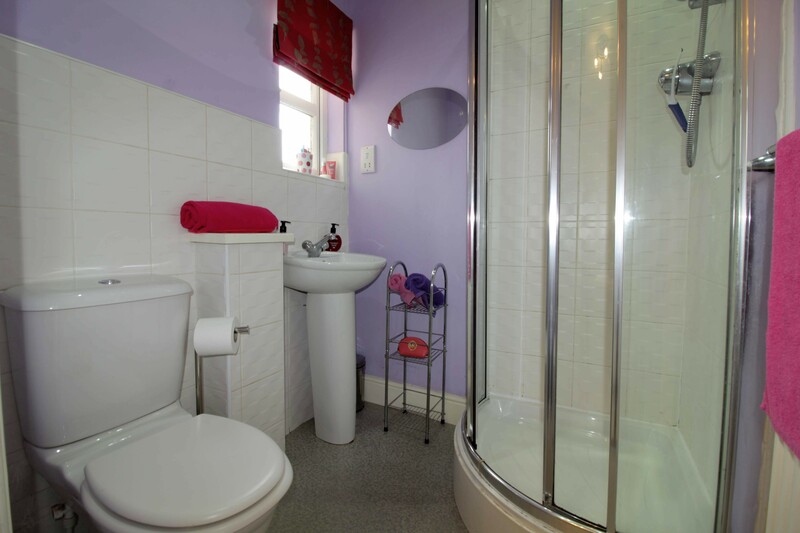 With rear facing windows brightening the space, and access to the South facing rear garden. 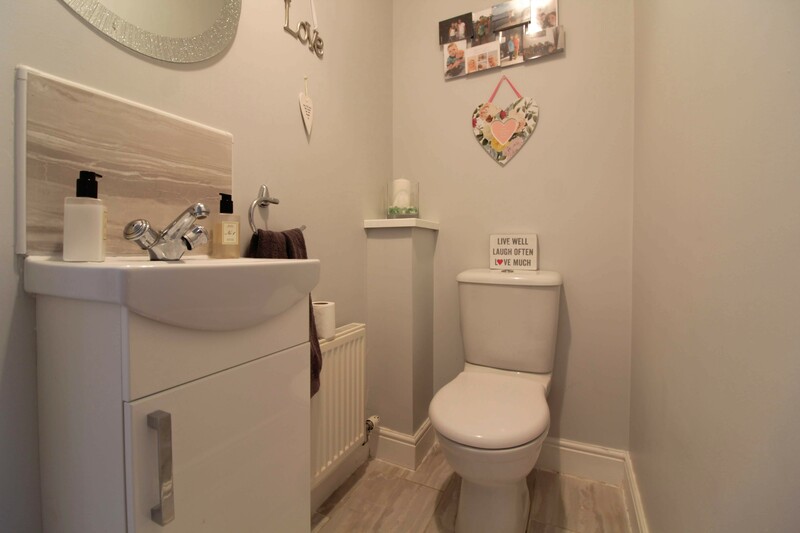 Also on the ground floor is a WC. 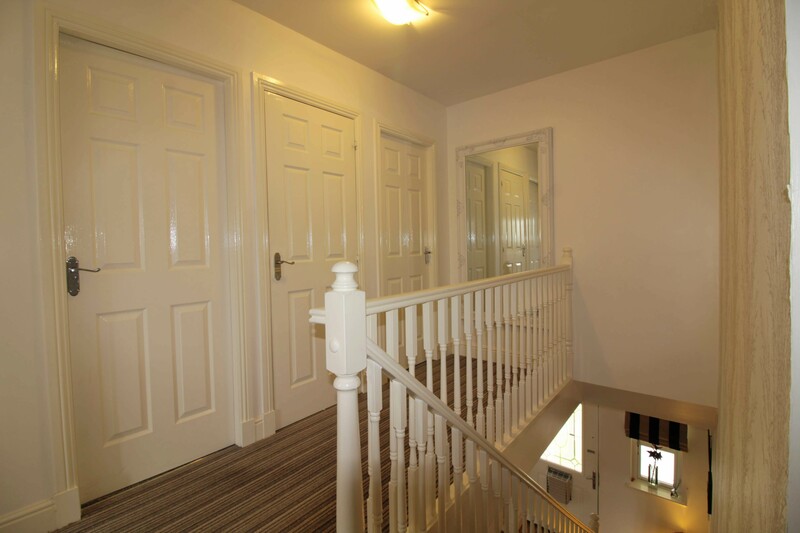 On the upper floor are 4 spacious double bedrooms. 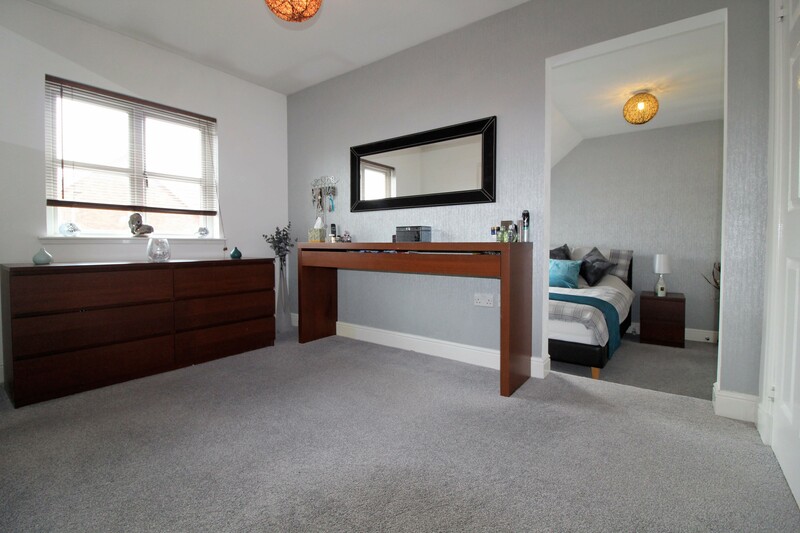 Bedroom 1 is split into two areas, one currently in use as a dressing room with fitted storage and en-suite. 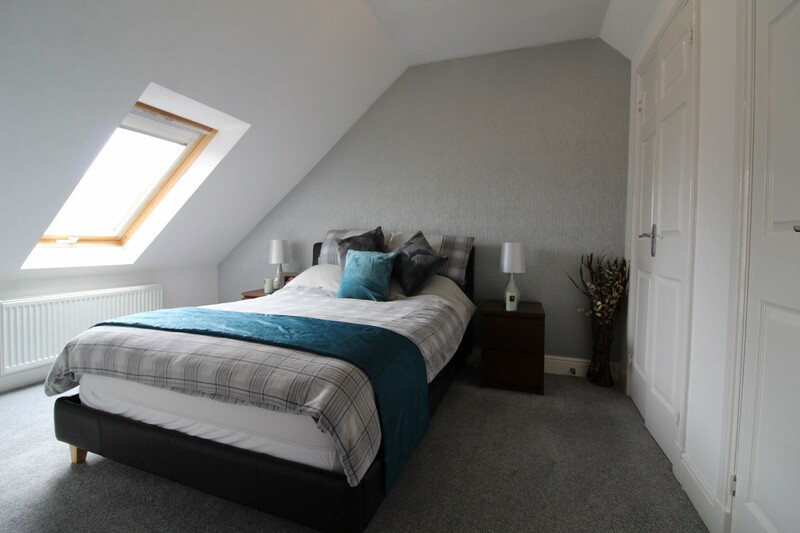 The bedroom itself contains further fitted storage. 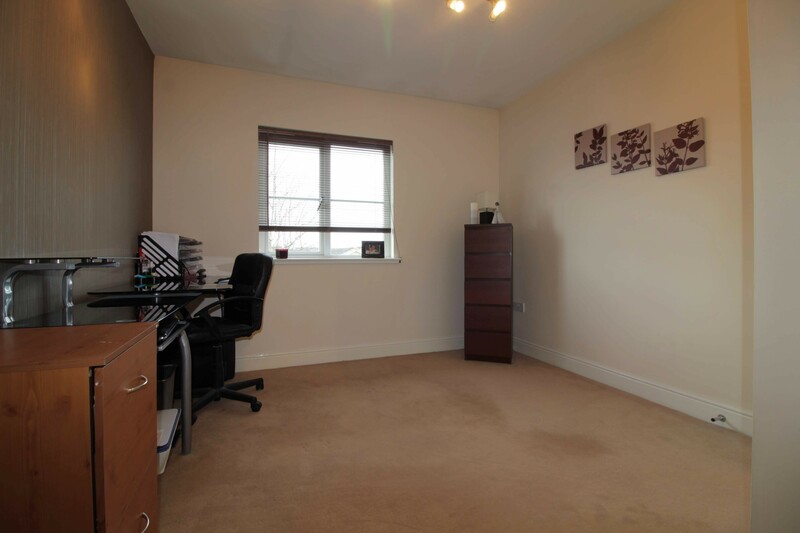 Bedroom 2 is currently in use as an office, this is another spacious double, overlooking the rear garden. 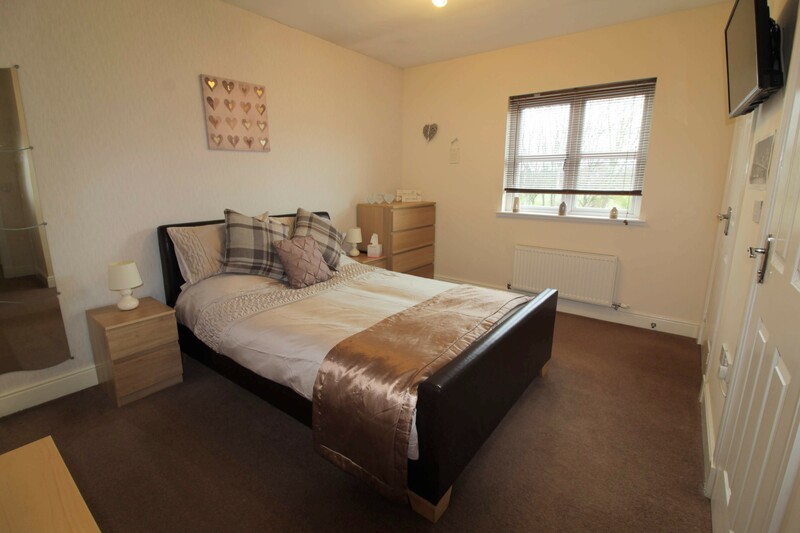 Bedroom 3 is a large rear facing double, again with fitted storage, while bedroom 4 faces the front and boasts fitted storage as well a modern en-suite shower room. 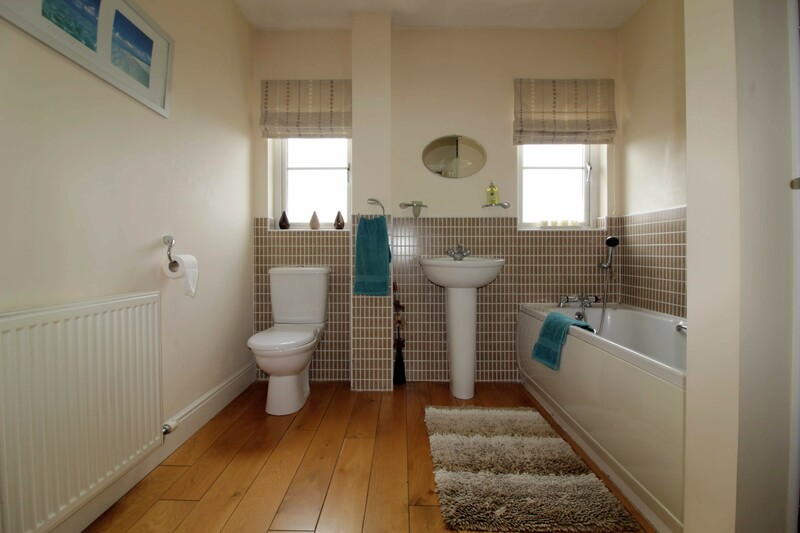 Also on the upper floor is the modern family bathroom; comprising white suite with bath, toilet, wash-hand basin and separate shower cubicle. 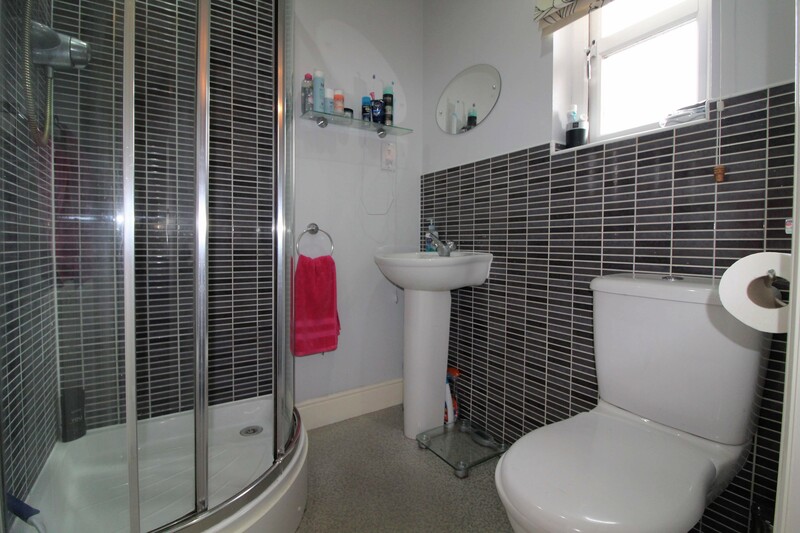 The property boasts front and rear gardens, as well as a double garage. The front is kept neat with driveway to the side. 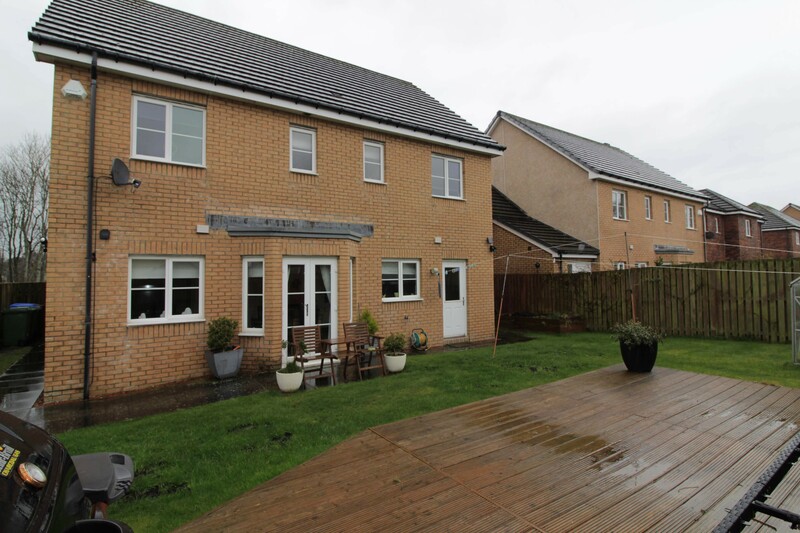 The rear garden is of a good size and South facing. 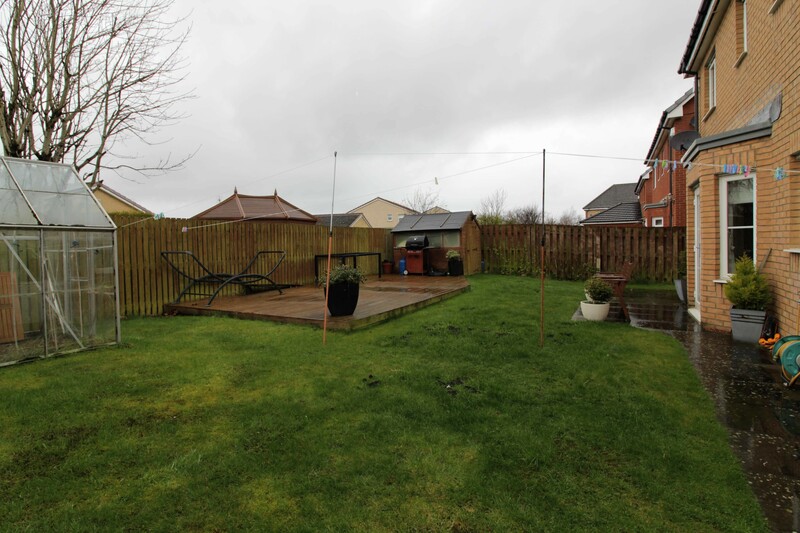 Fully enclosed and mainly laid to lawn with an area of decking, ideal for outdoor dining or entertaining. Kept well and easily maintained in its current condition. 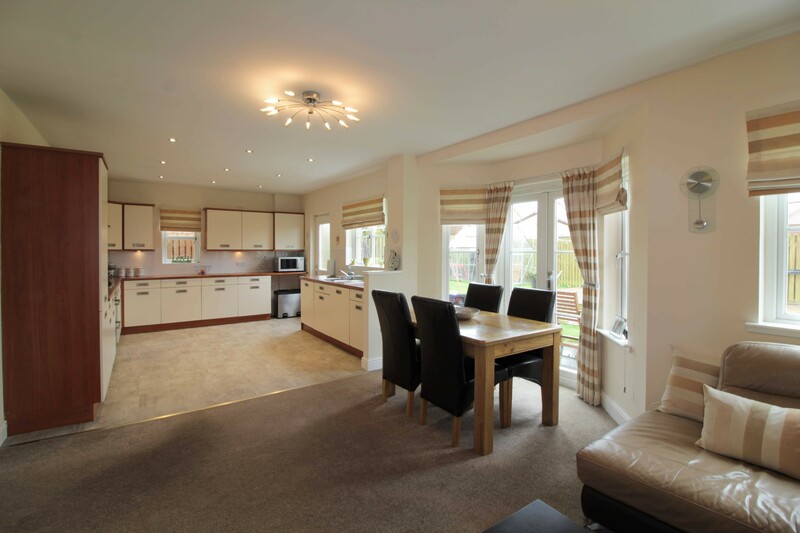 Kitchen/Dining Room/Sitting Room: 30'4x15'6 (12'0 in kitchen area) approx. 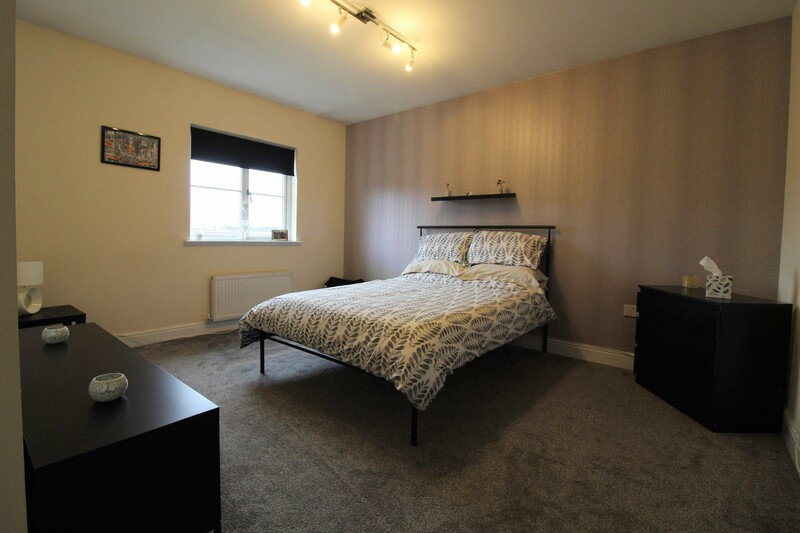 Bedroom 2: 10'3x12'4 (narrowing to 8'10) approx.